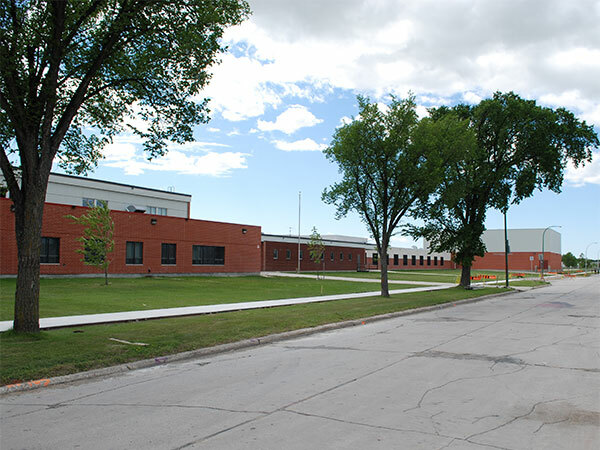 Construction of the Sisler High School building began in 1956 with a planned opening in September 1957. When it was not ready in time, Margaret Scott School was used for classes in the interim. The completed structure was two storeys with 29 classrooms, four science labs, three science classrooms, art room, music room, library, cooking room, sewing room, general shops area, two home economics rooms, auditorium and gymnasium, and administrative offices. Named for educator W. J. Sisler, it would grow into the province’s largest school and probably its most multicultural. The building has undergone extensive modifications through the years to keep pace with its growing student body. In 1961, an addition provided 11 more classrooms, music room, two science rooms, industrial arts shop, food lab, clothing lab, and gymnasium. Six more classrooms, three tying rooms, language lab, music room, lunch room, and other renovations were made in 1964. Woodworking shops were built next to the existing shops in 1992, and portable classrooms were brought to the site in 1999 and 2000. A new gymnasium and exercise area, new administrative offices, upgraded library, life skills area, and other interior renovations occurred in 2004-2005. “Manitoba high school hockey – 2000-2001,” Winnipeg Free Press, 19 November 2000, page 16. Obituary [Gordon Blair Fenton], Winnipeg Free Press, 18 March 2006, page 37. We thank the Winnipeg School Division, Ian Stewart, and Rob Plouffe for providing additional information used here.